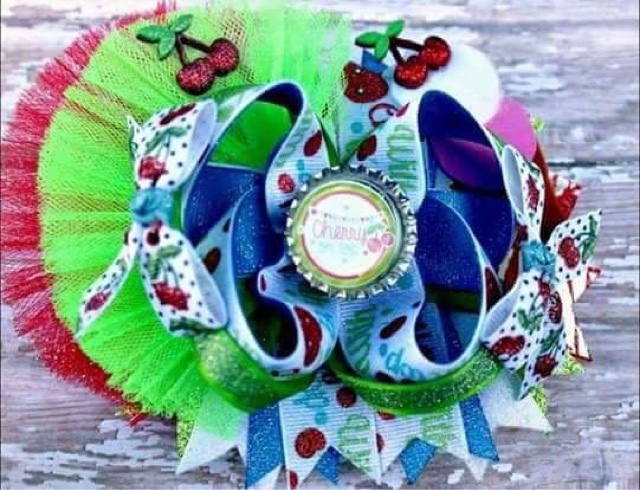 Boutique Sprinkles BLOG: Cherries all around! Check out this pretty bow Tiffany's Treasures n More made with one of the newest ribbon lines from Boutique Sprinkles! It's on auction over on the Polish and Shine JV Bowsquad page!